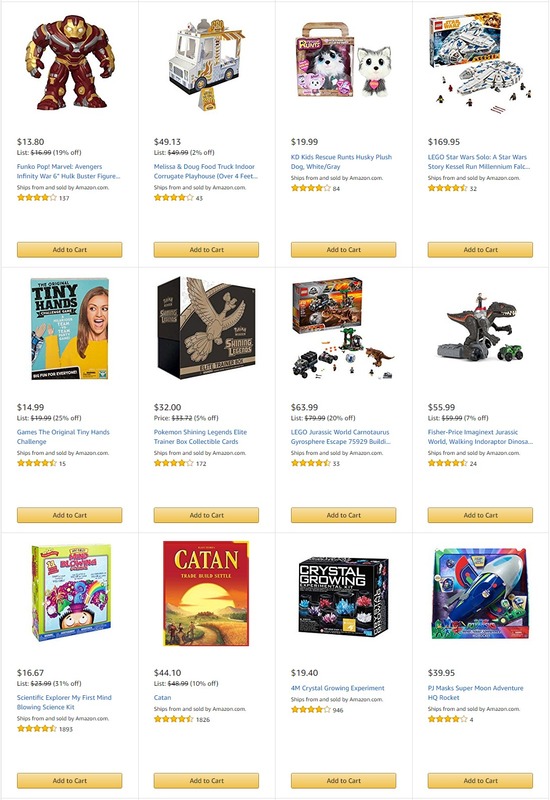 Here is Amazon Toy List for 2018. 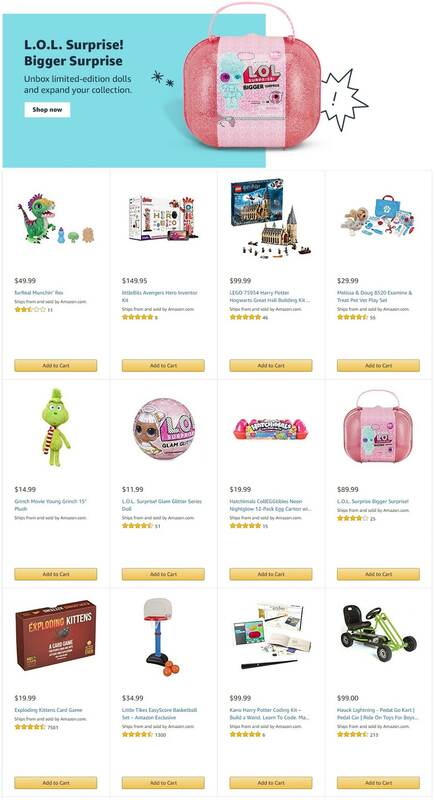 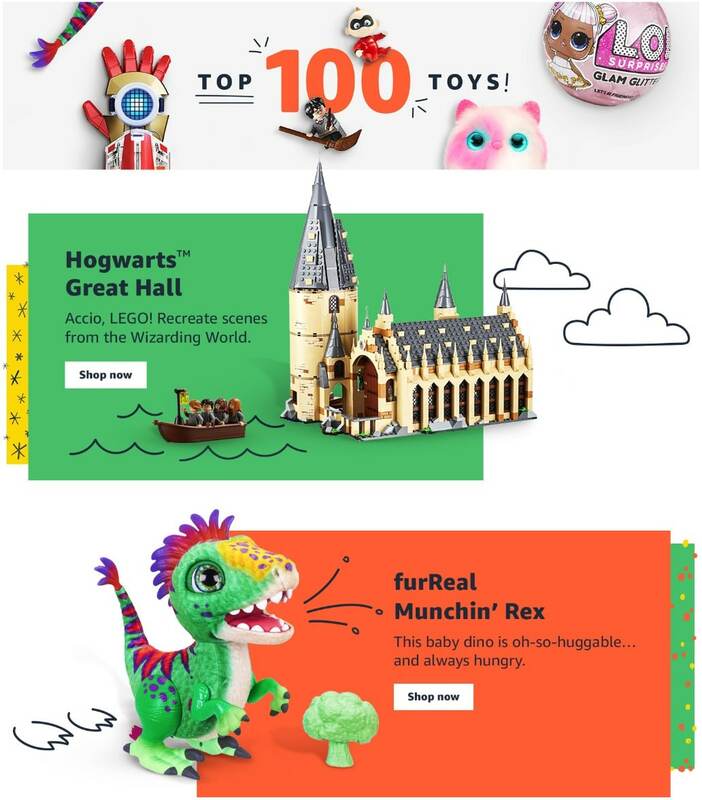 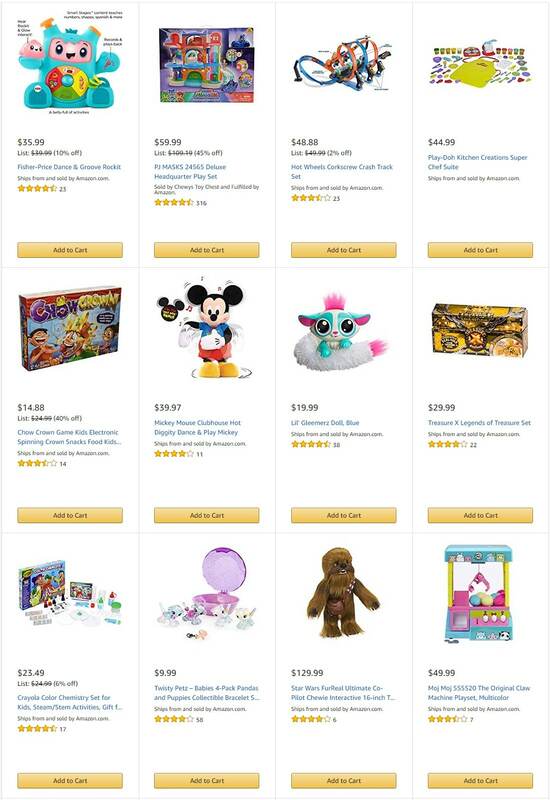 Save with this year Amazon Toy List deals and shop some of the most popular toys of the year (see list here): Fisher-Price Dance & Groove Rockit; PJ MASKS 24565 Deluxe Headquarter Play Set; Hot Wheels Corkscrew Crash Track Set; Play-Doh Kitchen Creations Super Chef Suite; Chow Crown Game Kids Electronic Spinning Crown Snacks Food Kids & Family Game Ages 8 and Up; Lil’ Gleemerz Doll, Blue; Treasure X Legents of Treasure Set; Crayola Color Chemistry Set for Kids Steam/Stem Activities and more. 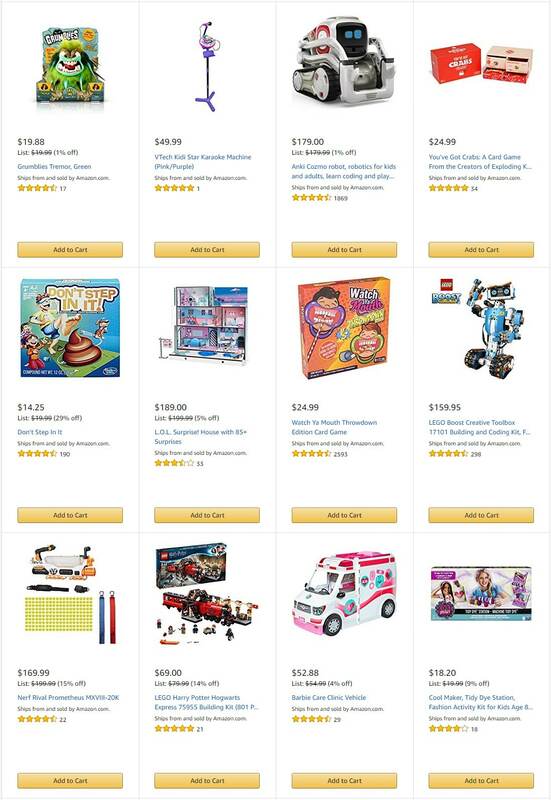 Don’t forget to check this year Amazon Toy List Deals before heading out to shop.